The Red Book is a red leather‐bound folio manuscript crafted by the Swiss physician and psychologist Carl Gustav Jung between 1915 and about 1930. It recounts and comments upon the author's imaginative experiences between 1913 and 1916, and is based on manuscripts first drafted by Jung in 1914–15 and 1917. Despite being nominated as the central work in Jung’s oeuvre, it was not published or made otherwise accessible for study until 2009. In October 2009, with the cooperation of Jung's estate and after 13 years of exhaustive editorial work by Sonu Shamdasani, The Red Book: Liber Novus was published by W. W. Norton in a facsimile edition, complete with an English translation, a comprehensive introduction written by Shamdasani, three appendices, and over 1500 editorial notes. Editions and translations in several other languages soon followed. In December 2012, Norton additionally released a "Reader's Edition" of the work; this smaller format edition includes the complete translated text of The Red Book: Liber Novus along with the introduction and notes prepared by Shamdasani, but it omits the facsimile reproduction of Jung's original calligraphic manuscript. 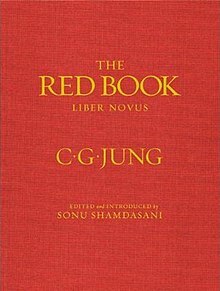 While the work has in past years been descriptively called simply "The Red Book", Jung did emboss a formal title on the spine of his leather-bound folio: he titled the work Liber Novus (in Latin, the "New Book"). His manuscript is now increasingly cited as Liber Novus, and under this title implicitly includes draft material intended for but never finally transcribed into the red leather folio proper. Jung was associated with Sigmund Freud for a period of approximately six years, beginning in 1907. Over those years, their relationship became increasingly acrimonious. When the final break of the relationship came in 1913, Jung retreated from many of his professional activities to intensely reconsider his personal and professional path. The creative activity that produced Liber Novus came in this period, from 1913 to about 1917. Biographers and critics have disagreed whether these years in Jung's life should be seen as "a creative illness", a period of introspection, a psychotic break, or simply madness." Anthony Storr, reflecting on Jung's own judgment that he was "menaced by a psychosis" during this time, concluded that the period represented a psychotic episode. According to Sonu Shamdasani, Storr's opinion is untenable in light of currently available documentation. During the years Jung engaged with his "nocturnal work" on Liber Novus, he continued to function in his daytime activities without any evident impairment. He maintained a busy professional practice, seeing on average five patients a day. He lectured, wrote, and remained active in professional associations. Throughout this period he also served as an officer in the Swiss army and was on active duty over several extended periods between 1914 and 1918, the years of World War I in which Jung was composing Liber Novus. Jung was not "psychotic" by any accepted clinical criteria during the period he created Liber Novus. Nonetheless, what he was doing during these years defies facile categorization. "From December 1913 onward, he carried on in the same procedure: deliberately evoking a fantasy in a waking state, and then entering into it as into a drama. These fantasies may be understood as a type of dramatized thinking in pictorial form.... In retrospect, he recalled that his scientific question was to see what took place when he switched off consciousness. The example of dreams indicated the existence of background activity, and he wanted to give this a possibility of emerging, just as one does when taking mescaline." Jung initially recorded his "visions", or "fantasies, or "imaginations" — all terms used by Jung to describe his activity — in a series of six journals now known collectively as the "Black Books". This journal record begins on 12 November 1913, and continues with intensity through the summer of 1914; subsequent entries were added up through at least the 1930s. Biographer Barbara Hannah, who was close to Jung throughout the last three decades of his life, compared Jung's imaginative experiences recounted in his journals to the encounter of Menelaus with Proteus in the Odyssey. Jung, she said, "made it a rule never to let a figure or figures that he encountered leave until they had told him why they had appeared to him." After the outbreak of World War I in August 1914, Jung perceived that his visionary experience was not only of personal relevance, but entwined with a crucial cultural moment. In late-1914 and 1915 he compiled the visions from the journals, along with his additional commentary on each imaginative episode, into an initial manuscript. This manuscript was the beginning of Liber Novus. In 1915 Jung began artfully transcribing this draft text into the illuminated calligraphic volume that would subsequently become known as the Red Book. In 1917 he compiled a further supplementary manuscript of visionary material and commentary, which he titled "Scrutinies"; this also was apparently intended for transcription into his red folio volume, the "Red Book". Although Jung labored on the artful transcription of this corpus of manuscript material into the calligraphic folio of the Red Book for sixteen years, he never completed the task. Only approximately two-thirds of Jung's manuscript text was transcribed into the Red Book by 1930, when he abandoned further work on the calligraphic transcription of his draft material into the Red Book. The published edition of The Red Book: Liber Novus includes all of Jung's manuscript material prepared for Liber Novus, and not just the portion of the text transcribed by Jung into the calligraphic red book volume. "The years… when I pursued the inner images, were the most important time of my life. Everything else is to be derived from this. It began at that time, and the later details hardly matter anymore. My entire life consisted in elaborating what had burst forth from the unconscious and flooded me like an enigmatic stream and threatened to break me. That was the stuff and material for more than only one life. Everything later was merely the outer classification, scientific elaboration, and the integration into life. But the numinous beginning, which contained everything, was then." Jung worked his text and images in the Red Book using calligraphic pen, multicolored ink, and gouache paint. The text is written in German but includes quotations from the Vulgate in Latin, a few inscriptions and names written in Latin and Greek, and a brief marginal quotation from the Bhagavad Gita given in English. The initial seven folios (or leaves) of the book — which contain what is now entitled Liber Primus (the "First Book") of Liber Novus — were composed on sheets of parchment in a highly illuminated medieval style. However, as Jung proceeded working with the parchment sheets, it became apparent that their surface was not holding his paint properly and that his ink was bleeding through. These first seven leaves (fourteen pages, recto and verso) now show heavy chipping of paint, as will be noted on close examination of the facsimile edition reproductions. In 1915, Jung commissioned the folio-sized and red leatherbound volume now known as the Red Book. The bound volume contained approximately 600 blank pages of paper of a quality suitable for Jung's ink and paint. The folio-sized volume, 11.57 inches (29.4 cm) by 15.35 inches (39.0 cm), is bound in fine red leather with gilt accents. Though Jung and others usually referred to the book simply as the "Red Book", he had the top of the spine of the book stamped in gilt with the book's formal title, Liber Novus ("The New Book"). Jung subsequently interleaved the seven original parchment sheets at the beginning of the bound volume. After receiving the bound volume in 1915, he began transcribing his text and illustrations directly onto the bound pages. Over the next many years, Jung ultimately filled only 191 of the approximately 600 pages bound in the Red Book folio. About a third of the manuscript material he had written was never entered into the illuminated Red Book. Inside the book now are 205 completed pages of text and illustrations (including the loose parchment sheets), all from Jung's hand: 53 full-page images, 71 pages with both text and artwork, and 81 pages entirely of calligraphic text. The Red Book is currently held, along with other valuable and private items from Jung's archive, in a bank vault in Zurich. During Jung's life, several people saw his Red Book — it was often present in his office — but only a very few individuals who were personally trusted by Jung had an opportunity to read it. After Jung's death in 1961, Jung's heirs held the book as a private legacy, and refused access to it by scholars or other interested parties. After many years of careful deliberations, the estate of C. G. Jung finally decided in 2000 to allow publication of the work, and thereafter began preparations for the publication. The decision to publish was apparently aided by presentations made by Sonu Shamdasani, who had already discovered substantial private transcriptions of portions of the Red Book in archival repositories. Editorial efforts and preparation for publication were underwritten by major funding from the Philemon Foundation. On occasion of the publication in October 2009, the Rubin Museum of Art in New York City displayed the original book along with three of Jung's original "Black Book" journals and several other related artifacts; this exhibit was open from 7 October 2009 to 25 January 2010. 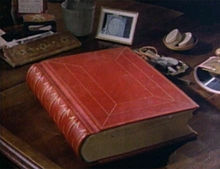 The Red Book was subsequently exhibited at the Hammer Museum in Los Angeles from April 11 – June 6, 2010. It was the center of a major display and conference at the Library of Congress from June 17 – September 25, 2010. Thereafter, the Red Book has been the focus of museum displays in Zurich, Geneva, Paris, and other major cities. ^ Jung, C. G., The Red Book: Liber Novus. Ed. S. Shamdasani, tr. M. Kyburz, J. Peck and S. Shamdasani. New York: W. W. Norton. ISBN 978-0-393-06567-1. p. 221. Hereafter cited as Liber Novus. ^ The Red Book: Liber Novus. Ed. S. Shamdasani, tr. M. Kyburz, J. Peck and S. Shamdasani. New York: W. W. Norton, 2009. ISBN 978-0-393-06567-1. ^ The Red Book: A Reader's Edition. Ed. S. Shamdasani, tr. M. Kyburz, J. Peck and S. Shamdasani. New York: W. W. Norton, 2012. ISBN 978-0393089080. Note that in this edition several footnotes are updated and typographical errors found in the original printings of the facsimile edition are corrected. ^ Shamdasani, Sonu (2005). Jung Stripped Bare By His Biographers, Even. ISBN 1-85575-317-0. , pp. 71-3. Shamdasani rebuts the assertions made by both Anthony Storr and Paul Stern about Jung's supposed "psychosis." ^ On the "nocturnal work", see Liber Novus, pg. 211. Jung writes in Liber Novus that during the day, "I gave all my love and submission to things, to men, and to the thoughts of this time. I went into the desert only at night. Thus can you differentiate sick and divine delusion. Whoever does the one and does without the other you may call sick since he is out of balance." Liber Novus, pg. 238. ^ Shamdasani offers extensive documentation about Jung's normal professional and social functioning during this period in his introduction to Liber Novus, p. 221. ^ Liber Novus, pp. 198-202. ^ Liber Novus, pg. 208. ^ Jung, Carl Gustav (1961). Aniela Jaffe (ed.). Memories, Dreams, Reflections. pp. 178–194. ^ Liber Novus, pg. 200. ^ Owens, "Hermeneutics of Vision", pp. 11-13. ^ Shamdasani explains the nature of the "Black Books", and provides high-resolution photographs of these journals in: Shamdasani, C. G. Jung: A Biography in Books, pp. 63-73. ^ The Black Books are currently being edited for publication: The Black Books of C.G. Jung (1913-1932), ed. Sonu Shamdasani, (Stiftung der Werke von C. G. Jung & W. W. Norton & Company), publication date pending. ^ Hannah, Barbara (1976). Jung: His Life and Work. p. 115. ISBN 0-87773-615-4. ^ See Shamdasani's introduction to the Red Book: Liber Novus for detailed explanation of this effort: Liber Novus, pp. 198-203. ^ Liber Novus, pg. 331ff. ^ In the last three years of his life, Jung returned to his folio volume, and made an effort to finish the transcription. He found it was beyond his ability, given his advanced age. The transcription ends in mid-sentence. Liber Novus, pg. 360. ^ See Shamdasani's "Editorial Note": Liber Novus, pp. 225-6. ^ Liber Novus, p. vii. ^ High-resolution images of the Red Book appear in: Shamdasani, C. G. Jung: A Biography in Books, pp. 118-9. ^ Shamdasani, C. G. Jung: A Biography in Books, pg. 119n. ^ Bair, Deirdre (2003). Jung: A Biography. p. 745. ISBN 0-316-07665-1. ^ Corbett, Sara (2009-09-16). "The Holy Grail of the Unconscious". The New York Times. Retrieved 2009-09-20. ^ "The Red Book of Carl G. Jung: Its Origins and Influence: June 17–September 25, 2010". Library of Congress. Hanegraaff, Wouter J. (2017). "The Great War of the Soul: Divine and Human Madness in Carl Gustav Jung's Liber Novus". Religion und Wahnsinn um 1900: Zwischen Pathologisierung und Selbstermächtigung. Religion and Madness Around 1900: Between Pathology and Self-Empowerment. Edited by Lutz Greisiger, Sebastian Schüler, and Alexander van der Haven. ISBN 978-3-95650-279-8. Jung, Carl Gustav (2009). Sonu Shamdasani (ed.). The Red Book. Liber Novus. Translated by Mark Kyburz, John Peck and Shamdasani; introduced by Shamdasani. Philemon Series & W. W. Norton & Co. ISBN 978-0-393-06567-1. Archived from the original on 2011-07-27. Owens, Lance S (2014). "C. G. Jung and the Red Book: Liber Novus". Encyclopedia of Psychology and Religion, 2nd ed. 2014, Springer Publications. ISBN 978-1-4614-6085-5. Owens, Lance S (2010). "The Hermeneutics of Vision: C. G. Jung and Liber Novus". The Gnostic: A Journal of Gnosticism, Western Esotericism and Spirituality Issue 3, July 2010. ISBN 978-1906834043. Shamdasani, Sonu (2005). Jung Stripped Bare By His Biographers, Even. ISBN 1-85575-317-0. Shamdasani, Sonu (2012). C. G. Jung: A Biography in Books. ISBN 978-0393073676. C. G. Jung and the Red Book: Liber Novus An in-depth encyclopedia article on Jung and the Red Book. C.G. Jung and The Red Book A series of eighteen audio lectures on 'Jung and The Red Book: Liber Novus', presented by Lance Owens MD. "Philemon Foundation". Philemon Foundation. Retrieved 2009-09-21. This page was last edited on 28 January 2019, at 00:39 (UTC).